Did you miss out on winning the prizes from the last Sky Celebrations Fair? Great news because now you have another chance. Again, a big thank you to Sky Cable and their generous partners. *Clap clap clap. 1. In Sky Celebrations Fair Official Facebook Page, post a photo of you having fun at the Sky Celebrations Fair 2014 along with this caption “Celebrating life’s little milestones with @Sky Celebrations Fair and @Party Doll Manila” or “Celebrations never end with @Sky Celebrations Fair and @Party Doll manila” and tag 5 of your friends. 2. All photo entries should be taken during the event. 3. 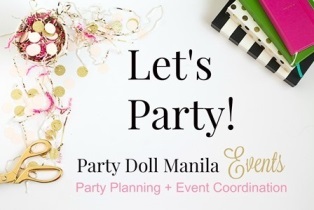 Be sure to tag and like both @Sky Celebrations Fair and @Party Doll Manila Facebook Page and include the hashtag #SKYCelebFair2014Giveaway to qualify. 6. 15 winners will be announced on September 10, 2014. 15 cool prizes up for grabs! So, what are you waiting for? Join now! Congratulations to our #SKYCelebFair2014 X Party Doll Manila #SKYCelebFair2014Giveaway winners! **Cel Concepcion Gambia – 1 party package worth 3,000php from Oh, Bento! I’m Rommel from Acquire BPO under the engagement department – We are currently looking for birthday vendor who can provide us birthday items. If interested kindly send us your proposal and actual items.